The design faculty at UC Davis, through their personal travels and collaboration with faculty and professionals all over the world, illustrate the value of international experience, incorporating these international experiences and research into their own design practices and their teaching. 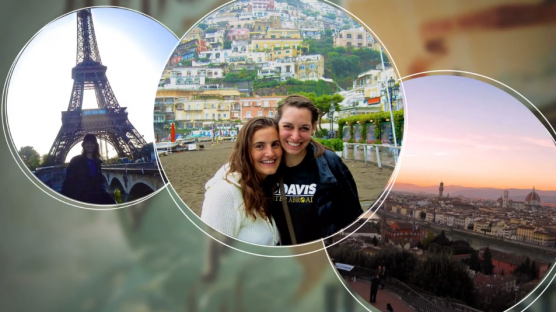 More information about studying abroad is available at the UC Davis Study Abroad website. European countries are bursting at the seams with history and design. Join Professor Tim McNeil on a journey through England, Scotland and the Netherlands for an unparalleled insight into countries famous for their design tradition as well as their design innovation. Filmmaking, storytelling and time-based design are quickly becoming essential tools for today’s designers. There is no place better to study these traditions than Ireland; a country rich with cultural, political and social histories, and world-class creative practices. And best of all, each student will make their own short film, individually or collaboratively. What could be a better souvenir?